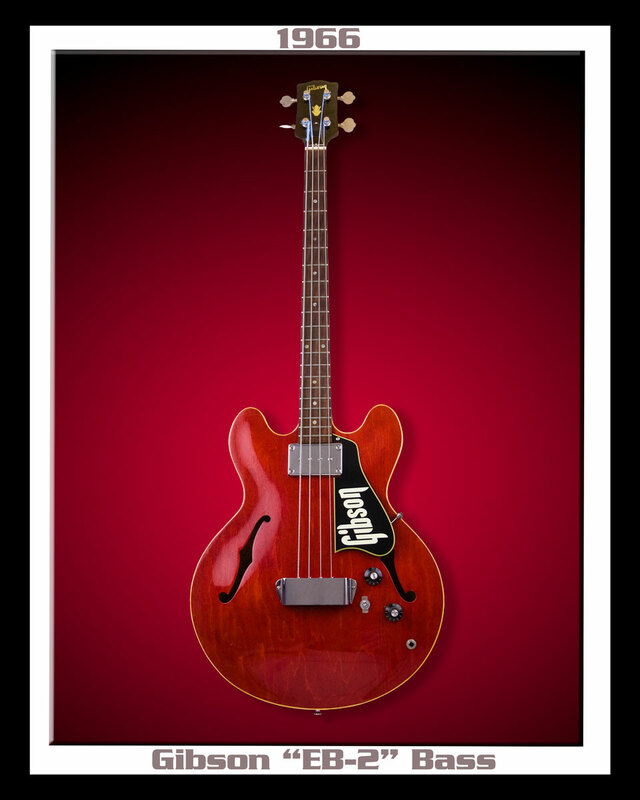 The Gibson EB-2 is a semi-hollow bass produced between '58 & '72. 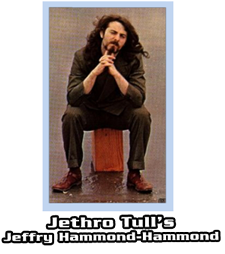 It features one large Humbucker in the neck position capable of creating a very "FAT TONE" with a Boomy Bite. 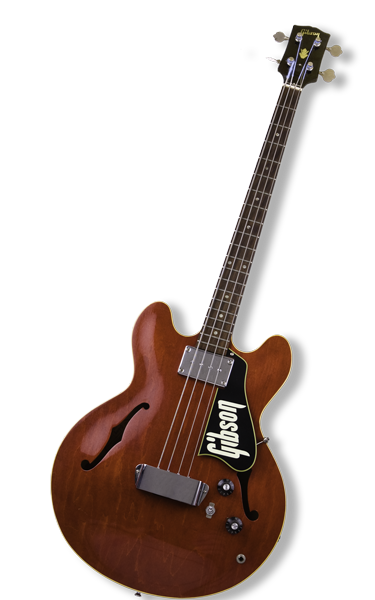 The short-scale neck makes for very fast action and the hollow body gives it a deep resonant-tone. This bass dishes out so much bottom end you could literally blow-out your speakers. The EB-2 had an expanded run of popularity in the early days of the post-Beatle era. 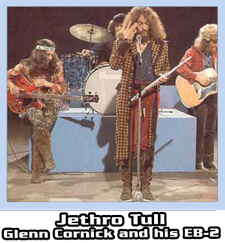 Notable players of the Gibson EB-2 are Glenn Cornick & Jeffrey Hammond-Hammond of Jethro Tull. 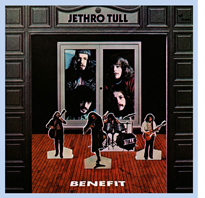 This bass was featured on the cover of Jethro Tull's 1972 LP, "Benefit".